Sure the short game encompasses the scoring aspect of the game. That’s a no-brainer. However, your driver sets it all up. Your driver positions you. Your driver is your fun club. And your driver—specifically, having one that feels good and performs even better—is vital. Every year there are a few dozen new drivers that enter the fold. Yes, the market is somewhat overcrowded. And unquestionably the technology behind these bad boys improves each year. From adjustable heads to ultra-lightweight shafts—and everything else the geek squads in the labs can possibly toy around with—the variables seem infinite. That said, it’s important to keep in mind that proof is always in the pudding. In other words, is the club working for you? Is the ball flight—on a solid strike—what you’re looking for? Do you feel good with it in your hands? Is it producing shots with distance and accuracy? Sure, it can be invigorating to get all bent out of shape with the technical nuances, but let’s be honest. You just want a big stick that behaves. No question, the most popular name brands—you know the ones—have the vast majority of the market share. And there’s plenty of great stuff there to get all warm and fuzzy about. However, the smaller guys also make weapons that work. And you don’t want to overlook them. Here are three worth investigating. The Skinny: Sean “the Beast” Fister is indisputably one of the longest drivers of the golf ball who has ever lived. No one in their right mind would challenge that. He’s a three-time world long drive champion. However, when the nice guy from South Carolina decided he had the wherewithal to build world-class drivers, the skeptics weren’t convinced. But as it turns out he did. And his Model 1 driver is, by many accounts, a world beater. Why it works: The most compelling feature of this club is what Fister calls an Accordian Compression Channel that redistributes impact force away from the face, producing more ball speed and lowering spin. Who’s it for? Not surprisingly, the club is ideal for big hitters. If you create more than 150 miles per hour of ball speed, this club can be magical. The Skinny: Basically, the lab rats at Adams did everything humanly (and robotically) possible to give golfers the hottest face technology in golf. Long story short, the ball jumps off the face better than anything else out there. A brief word of caution: while the overall shape of the head is sweet, the speed slot—think long, rectangular depression on top of the club—might be distracting to some. Who’s it for? If you’ve got a pulse and like to play golf, you owe it to yourself to give this club a try. If a clean and simple clubhead with no markings is your cup of tea, this club may not win you over. But the longer drives most certainly will. The Skinny: The Cobra Bio Cell driver looks about as cool as anything you can swat a golf ball with. The waffle pattern on the crown is especially sweet. But so is this sucker’s performance. Pick a colour—there are six to choose from—and give it a rip. You won’t be disappointed. Why it works: The adjustable hosel has eight settings so you should be able to find one that does the job. In addition to the radical colour schemes, the traditional 460 cc head shape screams distance and forgiveness. Except it doesn’t just scream it, it delivers it. The Project X shaft is also one of the best stock shafts on the market. Who’s it for? 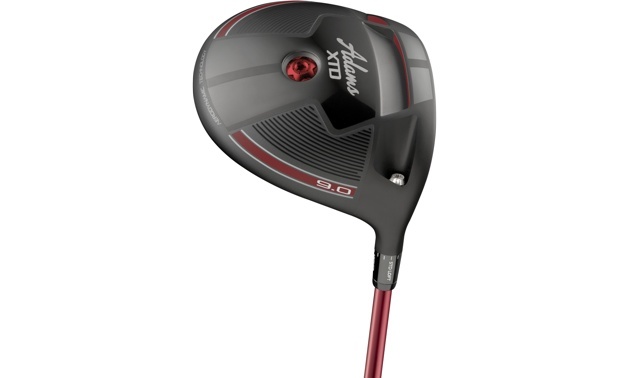 The forgiveness on off-center hits, the sporty appearance, and the added distance makes this club ideal for mid to high-handicap players who need a boost to their driving game. If you’re looking to drive for show, this one could well be your ticket to fame.